Must be able to commit to at least 14 hours a week (approx 2 hours per day) for the next 5 weeks. To coincide with the broadcast of THE CLUB on HBO on MAY 12th we’re launching a 30 day Kickstarter campaign to help raise funds and awareness for our second feature doc No Place For Children. The film explores the complexities of America's juvenile justice system through the stories of families caught up within it. Following 2 very different stories - one in Indiana and one in Texas, we'll be raising funds to continue filming and move production along. We’re looking for 2 resourceful, organised and enthusiastic interns to begin work ASAP. A knowledge/ interest of human rights/ social justice issues would be an advantage but not essential. We will brief you fully on the subject of the film and so you are familiar with the topic, our characters, current footage and production plan. What better way to kick off our little festival tour then setting up shop in NOLA for the week! We are just FOUR days from premiering 'The Club' at Crossroads Film Festival in Jackson, MS & Silver Springs International Film Festival in Ocala, FL! We are thrilled our friend, Ginger Williams-Cook will be joining us at Crossroads! More festival dates will be announced shortly! THE CLUB will air on HBO on Monday 12th May at 9pm. It's now been three months that Blake and his friends have been spending 22 hours a day alone in their cells with a very dim light at the end of the tunnel. We are back in Elkhart, Indiana to continue filming as the boys and their families appeal their 50+ year sentences they are currently serving because of the Felony Murder rule. We are happy to be able to follow up with Angie and her family and to help tell these boys' stories. We're so proud to have Women Make Movies as our fiscal sponsor for our new project No Place For Children. The USA has the highest number of juveniles incarcerated in the world, with approximately 2,500 serving life without the possibility of parole- despite Amnesty International calling this cruel and unusual punishment and the supreme court ruling such mandatory sentences unconstitutional last year. This is symptomatic of a system that has numerous flaws and discrepancies which we explore a little more in our new film No Place For Children. Told through personal stories this film seeks to raise questions about personal accountability vs societal responsibility as well as about retribution and forgiveness when dealing with children on the wrong side of the law. SCROLL DOWN TO FIND 'NO PLACE FOR CHILDREN' AND DONATE! THANKYOU!!! We feel very lucky to have worked closely with the Innocence Project in New Orleans for some time now and earlier this year we were fortunate enough to have 3 of their exonerees share their stories with us for this little film. There are Innocence Projects across the US and across the world but the work they do in New Orleans is particularly significant given the fact the state of Louisiana has the highest incarceration rate in the world. Please watch this film and we do encourage you to find out more and donate a little to help them to continue their important work. We are equipped with a brand new camera and excited to be back in San Antonio to continue filming this story for our documentary-in-progress, No Place for Children. What else is there to say about the beautiful and impressive Selma? Katie Green of S&A is in Elkhart, Indiana with Natalie Wallrapp to film the sentencing of Blake Layman and friends who were recently found guilty of felony murder. We are following their story in "No Place for Children" (working title) to shed light on the wider issue of incarcerated youth in America. We were excited about the opportunity presented by Intel & LeadDog Marketing to make a short film drawing parallels between Intel reinventing the laptop with devices like the Ultrabook, in the way our cross-continental partnership is reinventing collaboration. If you're in New York this weekend, come down to Gansevoort Plaza for a chance to win a laptop! We are thrilled about our recent invitation to pitch our second feature documentary project, 'No Place for Children' (working title) at Sheffield Doc/Fest: MeetMarket ! We are excited to be collaborating with producer, Bronwen Parker-Rhodes and editor, Tina Grapenthin once again! We are incredibly passionate about bringing to light the serious injustices embedded within the juvenile incarceration system. 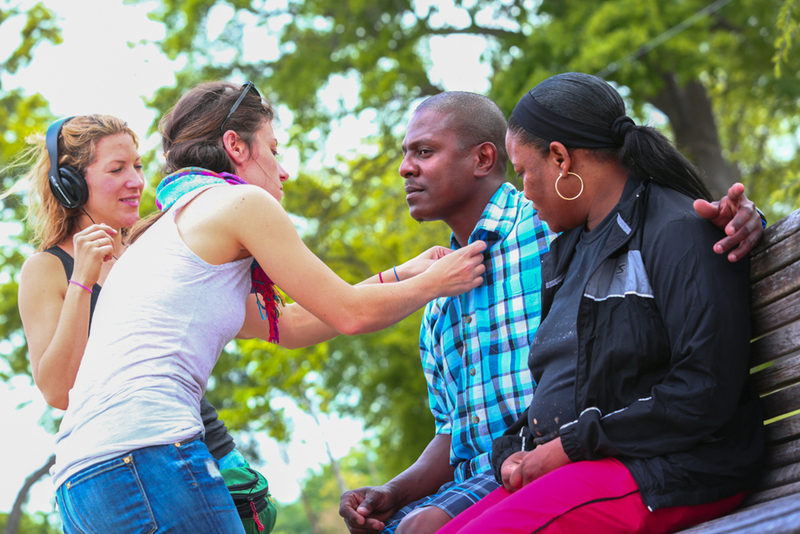 We are currently down in New Orleans working with the Innocence Project, which has served as a great reinforcement for our desire to do such work - we hope this film provides these youths a much needed voice. S&A is busy developing new film projects and is proud to be working with Covestor and IPNO once again! We are currently editing three more short films for Covestor Investment Management as well as completing our work with Innocence Project New Orleans. The completed films will be posted shortly! We are in development on our second documentary feature exploring the youth incarceration epidemic in the United States. We recently filmed with the incredible founder and advocate of Ella Foundation - We encourage you to support this important work! We are over the moon to announce our documentary feature, 'The Club' has been acquired by HBO Documentary Films with a projected air date of Mother's Day 2014 - mark your calendars! We are now in post-production with hopes of premiering at a few festivals later this year. Please continue to watch this space for screening announcements and more updates regarding our HBO premiere. Thank you all for your continued support! EXCITED! 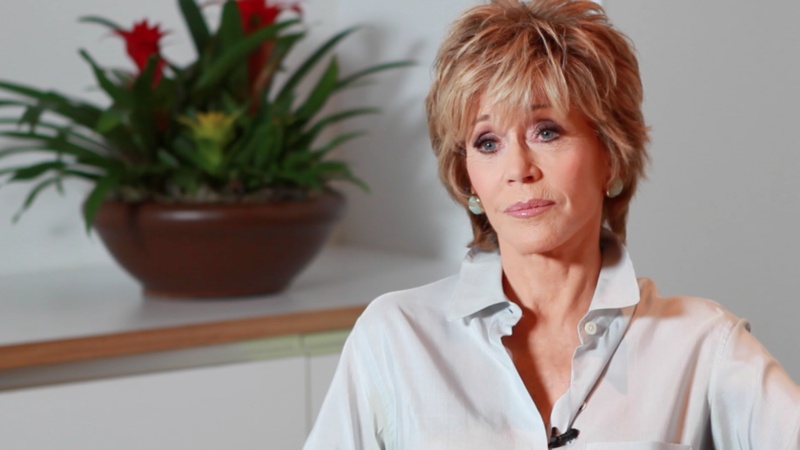 With a bit of help from our friend Rosie, we feel lucky to add Jane Fonda to an already impressive roster of funny, brilliant and insightful women who have opened up to us about the premature losses of their mothers during childhood. Jane's story will resonate with so many - we feel privileged to have her involved. We're really excited to be returning to one of our favourite US cities New Orleans to work with the Innocence Project New Orleans next week. Filming at their fundraiser The Rent is Too Damn High on 15th November 2012. We will be interviewing some of IPNO's exonorees as well as Gina Montana who we recently fell in love with in Beasts of the Southern Wild, to find out why they support IPNO too. If you're in the NOLA area come along and have a drink, meet some great people and get behind a fantastic cause.